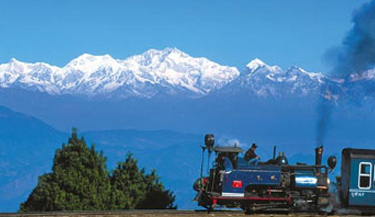 The heart and soul of adventure activities, Sikkim is undeniably the land of thrill and excitement. Accompanied by the vibrant culture and the sacred air of Buddhism, Sikkim is drenched in the mist of diversity that breaks barriers. The lofty green-cloaked hills and the cascading stream of white water invite avid travelers to witness unparalleled beauty and majesty. Amongst the most preferred adventure activities in the state, trekking wins the majority of the accolades. Looking at altitudes and difficulties in despise, the trekking routes in Sikkim often lead to the most exhilarating lifetime experiences. 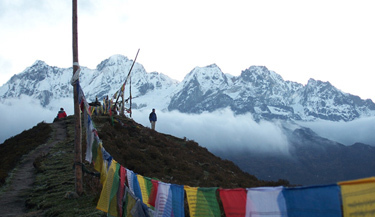 A proud part of the Indian Himalaya, Sikkim offers some of the best trekking trails in the country. Adding meaning to adventure, the trails in Sikkim are reckoned to be quite challenging. 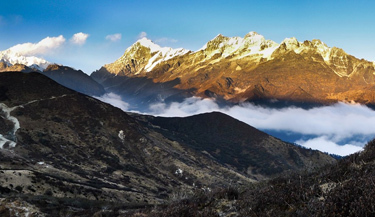 The easy treks like Sikkim Darjeeling trek and Yuksom-Dzongri-Goecha La trek challenges trekkers enough with altitude greatly varying between 2000m to 4940m. A perfect combination of easy and rigorous climbs and glide downs keeps the trekkers alert and thrilled throughout the trek. 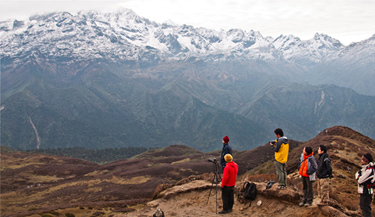 The sight of diverse flora and wildlife make this experience even more intriguing with of course landscape creating continuous awe and interest for trekkers. The unbridled adventure in Sikkim seems to grow with treks keeping an upper hand at the difficulty levels. 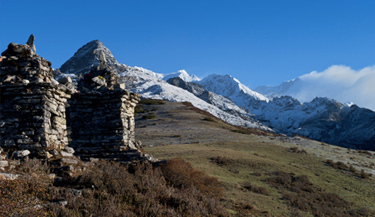 There are two moderate treks namely, Singalila Ridge & Goecha La and Green Lake that beguile enthusiasts seeking great adventure holiday in Sikkim. The two treks, with average elevation ranging from 2500m to 4800m, offer incredible trekking experience in the Sikkim Himalaya. These treks give one an opportunity to witness some of the most exclusive wildlife and get a glimpse of the great Indian Himalaya. 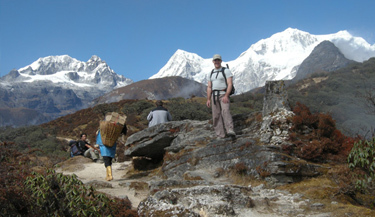 Tougher treks in Sikkim Himalaya require enormous guts leading further to glory. 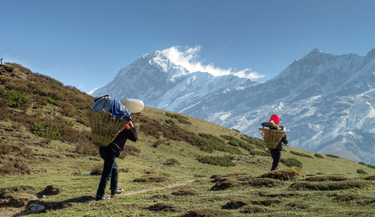 The high altitude treks like Sikkim Kanchenjunga trek and Kanchenjunga Base Camp trek can be whimsy, challenging trekkers to push their limits and competing like any human will. With Mt. 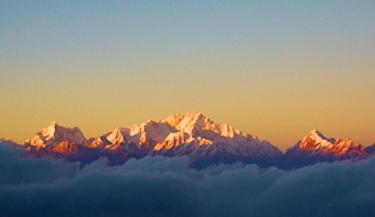 Kanchenjunga as a highlight and average altitude ranging from 3500m to 5000m above sea level, the two treks define trekking adventure at its best. 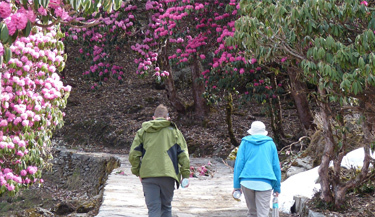 The rhododendron and magnolia strewn trek path that overlook the snow-clad mountains offer respite to the trekkers while they trudge ceaselessly on the strenuous yet beautiful trails. 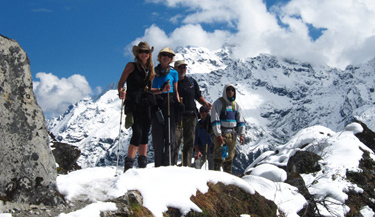 Sikkim Kanchenjunga trek and Kanchenjunga Base Camp trek can indeed be reckoned as few of the most unforgettable trekking trails in India.